Scientists at the University have found that genetic information on the Antarctic octopus supports studies indicating that the West Antarctic Ice Sheet could have collapsed during its history, possibly as recently as 125,000 years ago. Genes from more than 450 Turquet’s octopuses, collected from species in the Southern Ocean that surrounds Antarctica, were analysed to shed new light on how animals disperse across the varied ocean landscape. Adult Turquet’s octopuses tend to live in one place and only move to escape predators, leading scientists to believe that creatures from areas either side of Antarctica would be genetically different. The team from Liverpool, in collaboration with National University of Ireland Galway, and La Trobe University, Australia, however, found that the octopuses from Ross and Weddell Seas, which are now separated by the West Antarctic Ice Sheet, are genetically almost identical, suggesting that these two regions may have once been connected. Findings may contribute to recent studies demonstrating the potential impact that increasing global temperatures could have on the changing Antarctica environment. Dr Phill Watts, from the University’s Institute of Integrative Biology, explains: “We looked at information gathered by the Census of Antarctic Marine Life, which allowed us to examine genetic data on a scale that had not been done before in this area of the world. We expected to find a marked difference between Turguet’s octopuses living in different regions of the ocean, particularly between areas that are currently separated by approximately 10,000km of sea. These creatures don’t like to travel and so breeding between the populations in the Ross and Weddell Seas would have been highly unusual. 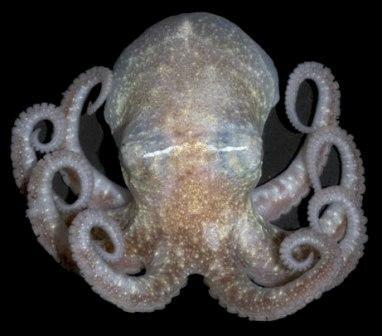 Data on octopuses from other parts of Antarctica, not separated by this particular ice sheet, support the theory that the creatures are genetically different. They found that the depth of the ocean and its currents limited the movement of the octopus in certain areas, as would have been expected for those living on either side of the West Antarctic Ice sheet. This added further evidence that at some point in recent history this particular ice sheet might have collapsed. The research is supported by the Natural Environment Research Council (NERC) and the collaborative scheme for systematic research (CoSyst). It is published in the journal Molecular Ecology. Dr Louise Allcock, from the National University of Ireland, Galway, added: “A previous study has shown evidence that the Ross and Weddell Seas could have been connected. We wanted to investigate whether there was any genetic information that could tell us what the past environment could have been like, and this octopus species, with its large populations around the region and limited movements, was an ideal species to use.